Emerging technology will continue to change the landscape of online video in years to come, with 2017 being perhaps the first “breakthrough” year for mainstream VR video. With VR headsets becoming widely available, even extremely inexpensive ones using a viewer’s cell phone, more and more marketing professionals will tap into the VR market for their product demonstrations, hotel walkthroughs, and other types of videos that take full advantage of immersive 360 video. To maximize marketing benefit from an emerging technology, marketers and video creators need to think of exploiting the novelty factor. What do viewers want to see in VR that will take full advantage of the format? For instance, a video of an exciting Day Club pool in Las Vegas is great, but seeing a VR video from the perspective of being in the middle of it all, allowing the viewer to choose where to look, is perhaps even more exciting. A case study by Magnifyre found that 28.81% more people viewed the same video in 360 versus non-360, when both were offered, and double the number of people finished the video. Marketing professionals are always looking for ways to increase viewer engagement and retention, so for many types of products and real estate, allowing potential customers to see what is being advertised in greater depth is a big bonus. Because VR is still in its infancy, there are pros and cons of thinking about taking advantage of it in 2017. 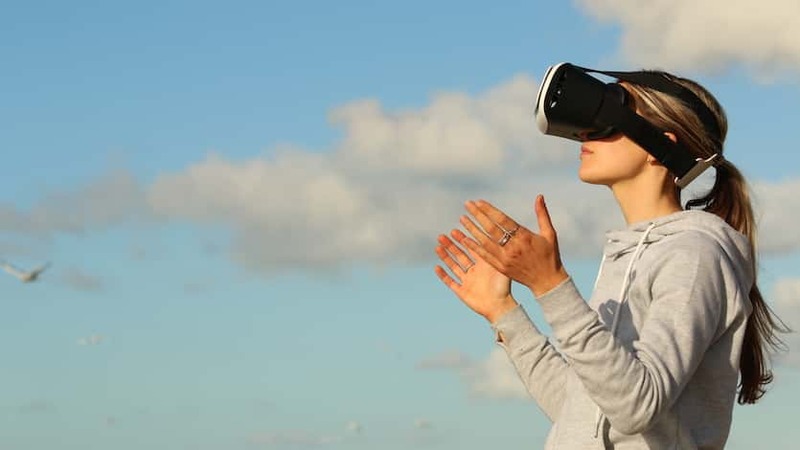 The biggest benefit is the relatively scarce number of VR videos available, so if you produce one, your video will likely show up atop the results for your category. You will attract a large percentage of people searching for a VR video about your product or service. The biggest drawback is the relatively few people who are watching VR videos on a regular basis, the so-called “early adopters.” In other words, you are likely gunning for a larger slice of a smaller pie. I personally recommend brands hold off on VR videos except when they make perfect sense for the brand, which would be upscale hotels and resorts, perhaps a high-tech company that wants to project an image of being forward thinking, or a start-up company looking to make an impression. Most traditional businesses can afford to wait another year or two before VR video really becomes mainstream, rather than rushing into an emerging technology that may or may not be worth the investment. Fortunately, VR videos can be produced relatively inexpensively. They sound complicated, but from a production standpoint they don’t need to cost a fortune. They will cost more than a typical video, but not enough to be considered a deal-breaker for many companies. YouTube continues to remain a dominant force in video publishing, especially with younger viewers. According to the Think with Google report, half of YouTube users ages 18-34 would drop whatever they’re doing to make time to watch a new video from their favorite creator. Further, 4 in 10 Millennials said they only trust YouTube for videos about important causes with 6 in 10 indicating a YouTube creator has changed their lives or the way they see the world in some way. Not only do the results indicate a YouTube channel is an essential part of your overall marketing strategy, but it should also make marketers think about purchasing video ads that run on YouTube. Most of the popular YouTube channels are “personalities,” so big YouTube stars, which is why I leveraged the reach and popularity of four YouTube personalities for my feature film, Amy Alyson Fans, way back in 2010. I knew including them in the feature film itself would not only be appropriate for my subject matter, but it would drive new fans to see the movie as well. Creating your own powerful brand channel with hundreds of thousands of subscribers and avid fans is probably not realistic for most brands, but taking advantage of the massive user base of YouTube requires no more than creating a great video ad and spending some marketing dollars on placing it with the network. For Millennials, YouTube is the new TV, with the same Think with Google report indicating the demographic watches 64% less TV than viewers 35 and over. Perhaps the most important marketing take-away from any discussion of video projects and trends in 2017 is to make sure your company has some type of video strategy. When I started JLB Media Productions in 2008, video was a luxury and we struggled to convince many companies of its benefits. We were pioneers in online corporate video production, which has its drawbacks, notably a two-step process of converting new clients: 1) Convince them of the value of video production to their marketing efforts, and 2) Convince them that we are the best company to handle their video needs. Even we had our doubts about #2! Now in 2017, most companies understand that video marketing is an important piece of the overall marketing strategy for a company. I feel more confident than ever that JLB Media Productions is an ideal company to handle the video needs of any brand, large or small, because of our creativity, body of work, national reach, great customer service, and competitive pricing.